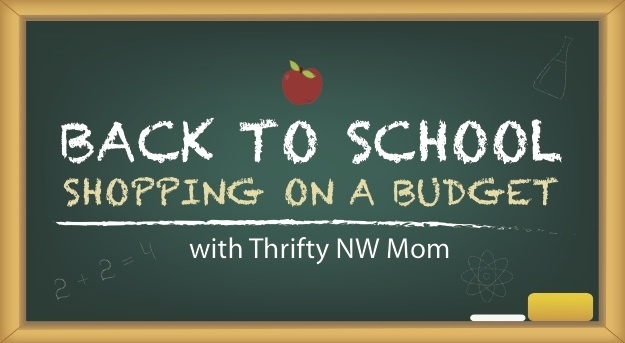 Right now, we are featuring a series about Back to School Shopping on a Budget , where we’re giving you our best tips on ways to save on school supplies, clothing, and more. We are going into the stores to show you how to maximize your savings by using simple shopping strategies & utilizing coupons & matching with store sales to find great deals. Be sure to Subscribe to our FREE Email Newsletter to get the latest and greatest deals sent directly to you! We also mentioned that new customers can get a FREE $10 to spend on School Clothes over at ThredUp! Just use promo code THRIFTY at checkout and $10 should be deducted from your order! The tips I shared today are a combination of money-saving strategies you can use to save money in all areas of your budget. One of the biggest areas of your budget is most likely your grocery bill. We are currently teaching coupon classes called Savings Nation classes , where we teach you how to use these same strategies in the grocery stores to save at least 50% off your bill. We hold these coupon classes all around Puget Sound to teach you how to take control of your spending & learn how to save money on your grocery bill, learn the tricks for saving at the drugstores & then later how to spend less when shopping for the holidays.